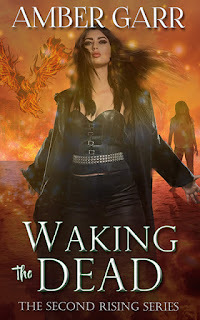 The author of Touching Evil brings you a Conner Hoffman novella from the Leila Marx World. Chugging back the last of my ale, I scanned the sordid tavern for my next victim. Or maybe I should call them my prey, since I was the hunter. A taker of souls. A destroyer of innocents. For the millionth time in my long existence, I cursed my demon father. Through my hazy stupor and incessant self-loathing, I managed to turn my head toward the woman now standing next to me. Her blazing red hair and dark black eyes locked onto my gaze with a ferocity matched only by my own. Something dangerous, yet familiar trickled off her like an electrical charge ready to ignite. Had I not had so much to drink, she would have scorched me with one look. My heart beat faster than I thought capable after crippling it with homemade ale and my dead soul. I tried to form some words, tried to say something to this woman who spoke about things she shouldn’t know. “How long?” She asked just before lifting her knee and kicking away a potential suitor. Without missing a beat, she grabbed my clay mug off the wooden bar and slammed it into the man’s face when he came back in retaliation. The noise in the tavern stopped for the briefest of moments before the fiddles picked up again and everyone cheered. Three men carried the foolish chap from the bar and tossed him out onto the dirt road. No one seemed to notice the remarkable woman who’d taken him down.